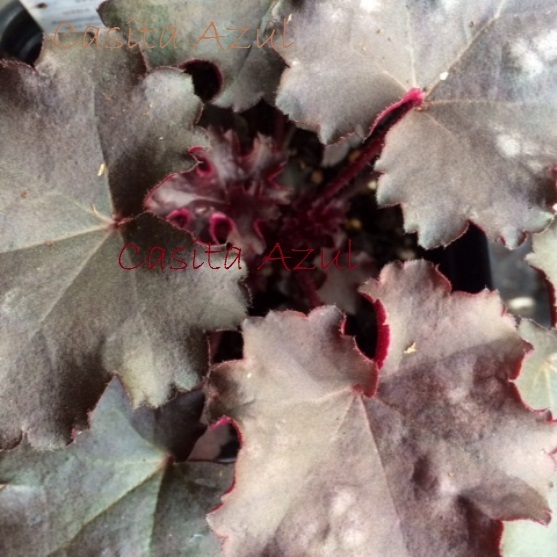 Heuchera 'Heukera Black Knight'. Leaves emerge green to chocolate brown and quickly darken to a rich cherry-chocolate. 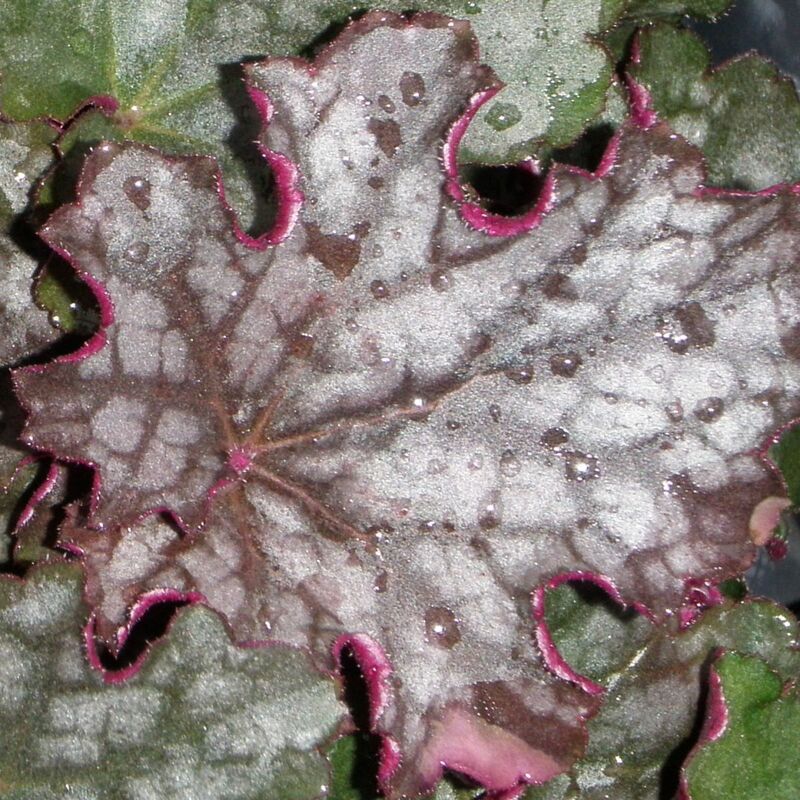 A silver overlay develops as the summer temperature rises, adding depth to the foliage color. The most obvious characteristic of this new alum root is its distinct serrated leaf margins that curl inward to reveal the maroon leaf back. PPAF.